Ira-3 is a compact and reliable Infra-Red (IR) receiver, designed to work with consumer remote controls. It serves one simple purpose: allow control of the PC with a remote control. It employs an updated code generating algorithm which is compatible with a majority of remote controls, has an external trigger connector. Ira-3 has several programmable parameters that can be changed to accommodate unusual IR protocols. 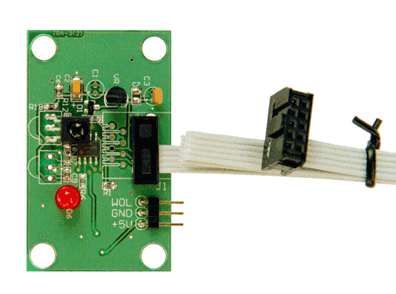 Compact and reliable universal USB IR receiver/transmitter. Can receive IR signals from most remote controls and transmit IR signals. Applications include home automation, home theater PC (HTPC), environmental control for disabled people, hospitality, industrial automation, kiosks, media servers. Tira-2.1 has been in production for more than 6 years. It is a stable, reliable product.